There is an epidemic in this nation. Far more dangerous than global warming, equal pay for women, or your 2nd amendment rights. There is really no way to avoid ending up with too many boxes of Girl Scout cookies. Everyone has a daughter, niece, cousin, godchild, some young lady in their life who is selling cookies. And they are out for blood. You’re not safe at work, you’re not safe at church, they even show up at your front door, with their cute little smiles, and their delicious treats, and before you know it, you’ve orded 5 boxes from every little girl with a green sash and there is no more room in your freezer for any more boxes of cookies. So what the heck do you do with them all? 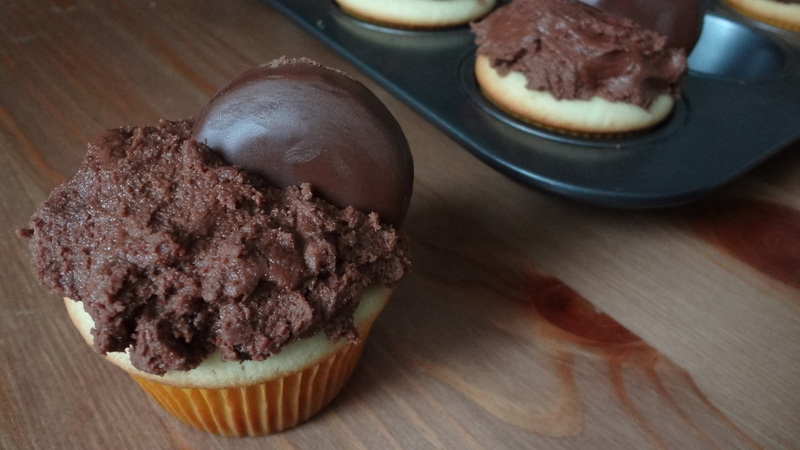 The obvious solution, my friends, is to put them on top of cupcakes. Because if there’s one thing you can count on to help make sugary treats disappear, it’s more sugar. 1. Prepare your cupcakes according to the directions on the package. Let them cool to room temperature before filling and frosting. 2. While the cupcakes cool, cream together the butter and peanut butter in a bowl with an electric mixer. Mix in the vanilla, then add the cocoa powder and powdered sugar in 4 alternating batches, mixing well after each addition. Use milk to thin out the frosting if desired. 3. Once the cupcakes are cool, use a paring knife to cut little cones out of the middle, going about 2/3 into the cupcake. 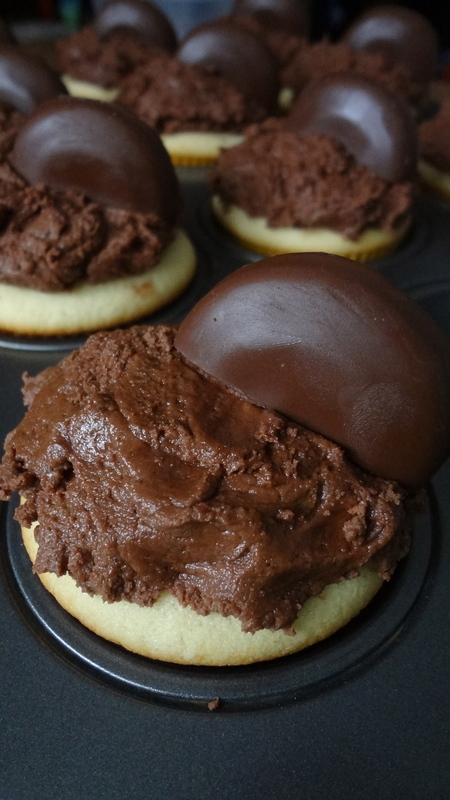 Fill the holes in the middle of the cupcakes with peanut butter, and smooth the top. 4. 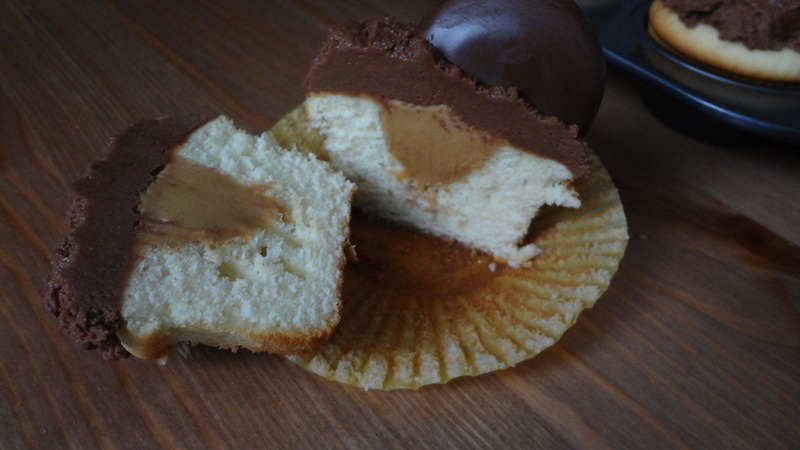 Once all the cupcakes are filled with peanut butter, top with your peanut butter buttercream and half a Tagalong. Serve them up and watch the sugar highs begin.